Early bird special! Get 25% off greeting cards, invitations, photo cards, postcards, calendars or ornaments with code HOLIDAYEARLY during checkout. Get a head start and reduce holiday stress! 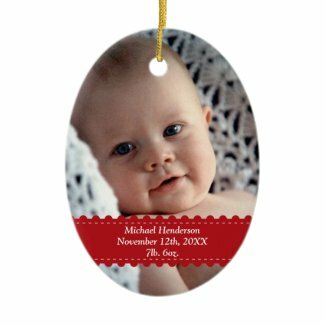 Order your holiday cards early, stary planning with new calendars, knock off a few on your gift list with meaningful custom ornaments. Hurry, this is only good till 09/29/2011. * 25% of the greeting card, invitation, photo card, postcard, calendar or ornament net sale price will be deducted when one or more qualifying products are purchased and the coupon code HOLIDAYEARLY is applied at checkout. The net sale price is the price of the product (excluding shipping and taxes). Offer is valid through September 29, 2011 at 11:59pm PT. This promotional offer does not apply to past purchases and may not be combined with any other Zazzle promotional or volume discount offers. If a volume discount applies to your order, you will receive either the discount set forth in this offer or the standard volume discount, whichever is greater. Offer valid on Zazzle.com only. Slash 50% off your invitation budget! Now is the time to save! Get 50% off all invitations and matching RSVP cards when you enter code INVITEDEAL4U during checkout. This is only good till 09/21/2011. If you are in the process of planning an upcoming Halloween bash, Thanksgiving get together or a wedding, this is your chance to slash 50% off the invitation card budget! * 50% of the invitation net sale price will be deducted when one or more qualifying invitations are purchased and the coupon code INVITEDEAL4U is applied at checkout. The net sale price is the price of the product (excluding shipping and taxes). Offer is valid through September 21, 2011 11:59pm PT. This offer does not apply to past purchases and may not be combined with any other Zazzle promotional or volume discount offers. If a volume discount applies to your order, you will receive either the discount set forth in this offer or the standard volume discount, whichever is greater. Offer valid on Zazzle.com only. Get 50% off any greeting cards, invitations, photo cards or postcards! Use code CARDSEMAIL50 during checkout. Take this opportunity to start early and save big for the holiday. Hurry, this early bird special will end on 09/19/2011. * 50% of the greeting card, invitation, photo card or postcard net sale price will be deducted when ten or more qualifying products are purchased and the coupon code CARDSEMAIL50 is applied at checkout. The net sale price is the price of the product (excluding shipping and taxes). Offer is valid through September 19, 2011 at 11:59pm PT. This promotional offer does not apply to past purchases and may not be combined with any other Zazzle promotional or volume discount offers. If a volume discount applies to your order, you will receive either the discount set forth in this offer or the standard volume discount, whichever is greater. Offer valid on Zazzle.com only. 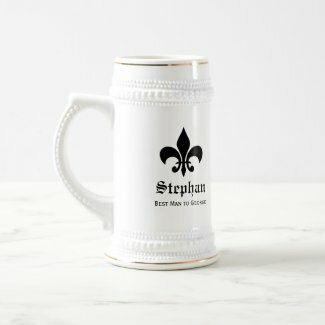 15% OFF T-Shirts, Steins, and Mugs! Enter code: TEEMUGSPROST and get 15% OFF all T-Shirts, Steins, and Mugs during checkout. This is good till 09-25-2011. This is the perfect opportunity to get gifts for everyone in your bridal party. 15% of the t-shirt and/or mug net sale price will be deducted when one or more qualifying t-shirts and/or mugs are purchased and the coupon code TEEMUGSPROST is applied at checkout. The net sale price is the price of the product (excluding shipping and taxes). This offer does not apply to screen printed apparel. Offer is valid through September 25, 2011 11:59pm PT. This offer does not apply to past purchases and may not be combined with any other Zazzle promotional or volume discount offers. If a volume discount applies to your order, you will receive either the discount set forth in this offer or the standard volume discount, whichever is greater. Offer valid on Zazzle.com only.